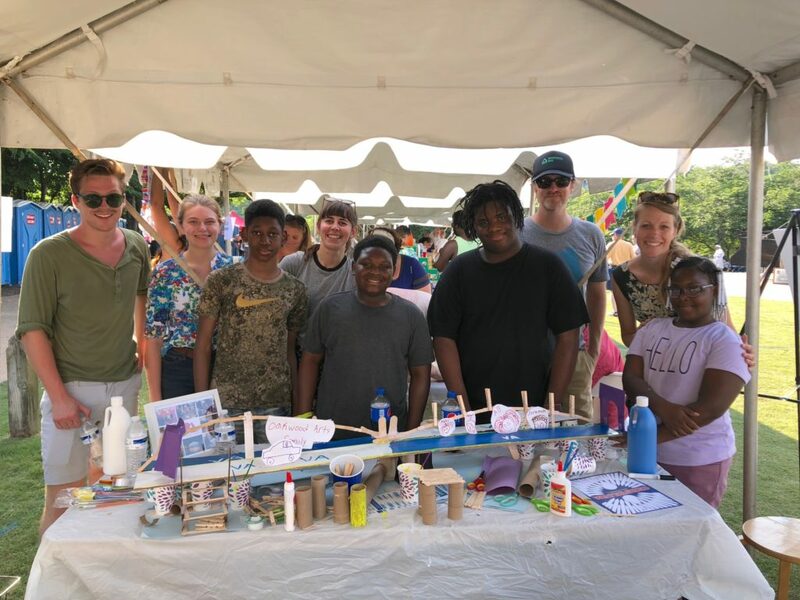 BridgePark team members with students from Oakwood Arts at the Festival of the River. Richmond is commonly referred to as the River City. From Brown’s Island to Texas Beach, our riverfront serves as a hub where residents come to enjoy the best of our waterway, whether it is rafting down the James or enjoying seasonal festivities. 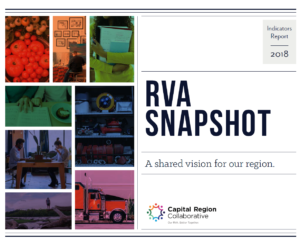 BridgeParkRVA looks to take this communal hub to the next level by connecting people to parks. BridgePark envisions a linear public park that spans from the James River and connects the riverfront experience to the City Center, on both sides of the James. They seek to adopt community and education as two core values in their development of this project. Community: Within this proposed system of connectedness, BridgePark anticipates a massive overhaul of our riverfront experience. A complete transformation of our city starting at 9th street and the connecting Commerce Street serving as a hub for walking, art, education, events, and community engagement. Education: Education through collaboration is key to this project. BridgePark strives to elevate those within the community, in particular, young people. Through collaborations with Partners in the Arts, several school systems, museums, and other youth nonprofits, they have developed an adaptable project-based learning curriculum for over 1,000 students ranging from 4 to 40. This curriculum takes you through the process of researching, analyzing, prototyping and building a tiny park or building models. This collaboration is unique because it flips the script on many of our young people’s opportunities and visions—essentially giving them privileged, direct access to a world-class project, making their experience different (in a positive way) to young people in other cities. By allowing young people to “see themselves in this work,” they can envision new career paths (especially underrepresented fields like architecture, engineering, and product design) and see their imprint on a huge initiative for our City. If you want to support or learn more about this project, follow BridgePark on social media at @BridgeParkRVA or email [email protected].